The Ned is one of London’s most fashionable new venues, playing host to some of the city’s finest star-studded parties . Set in the former Midland Bank building in the heart of London, The Ned was designed by Sir Edwin ‘Ned’ Lutyens in 1924. 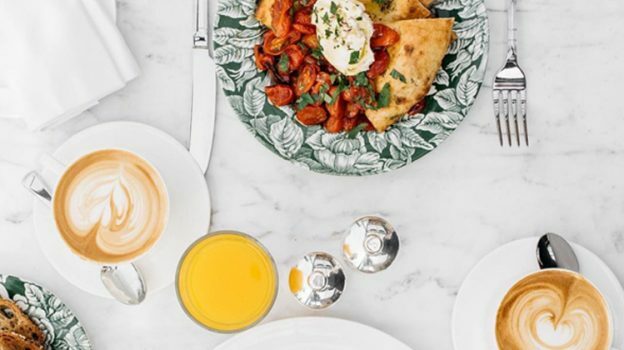 The iconic Art Deco building is now host to nine restaurants, 252 bedrooms channelling 1920s and 1930s design, a members’ club, gym and rooftop pool. Members can head to the roof to the exclusive Canopy bar & restaurant where you can admire stunning views across the city. Non-members have a choice of seven restaurants. These include Cecconi’s, an all day Venetian brasserie serving Italian dishes; Millie’s lounge, a British restaurant and bar serving classic dishes; The Nickel Bar serving American staples and classic cocktails; Zobler’s, traditional New York style deli; Malibu Kitchen, which brings Californian food to the city with a healthy menu of superfood salads; Kaia, an Asian-Pacific inspired restaurant; Café Sou, a Parisian style café and Lutyens Grill, traditional grill style dining with trolley service. Heritage collection supplied seven restaurants with 32,000 pieces of tableware in silver plate. Working to a exacting standard and tight timescales. We liaised closely with the owners of the building and highly successful operators of The Ned… Soho house developing iconic and striking pieces of silverware for this prestigious project. The Ned went on to win critical acclaim at the end of 2017, dominating the Ahead awards to be Crowned Europe hotel of the year 2017! Millie’s lounge won best restaurant, for its “phenomenally successful F & B operation, on a scale few could challenge.” We are delighted to have played such a significant role in this operation and it was a proud moment to see our involvement directly contribute to such high accolades. Keep following our blogs and sign up to our mailing list to get industry news, top tips. The latest on our new product launches and a greater insight into the HORECA market.